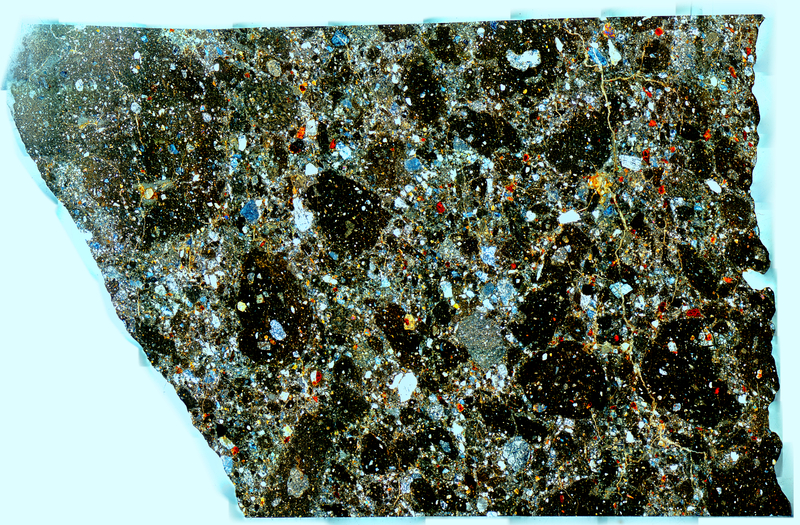 Thin section specimen of Dhofar 1528. Images taken with a 1/4 wave retarder filter in cross polarized light. This is highly weathered feldspathic breccia lunar meteorite which was discovered by Luc Labenne in 2009. More information.